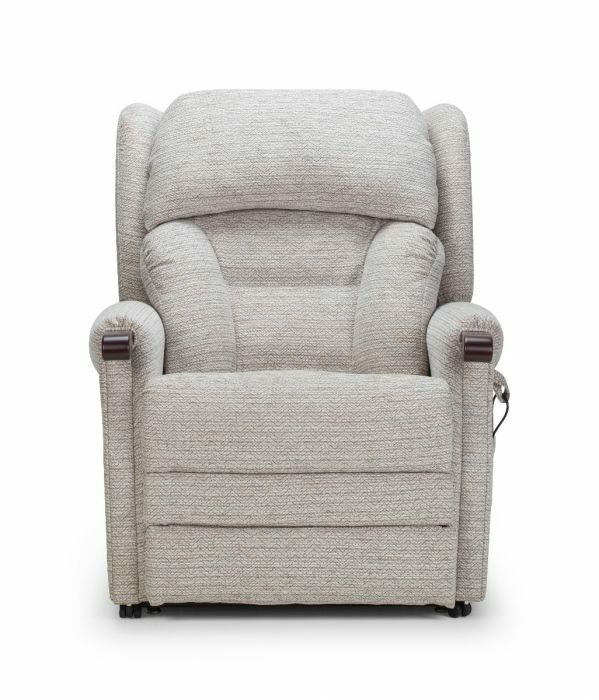 The Pride Hereford Lateral brings some modern sleek styling and outstanding comfort to our Rise & Recliner range with its generously filled lateral back and chaise allows for superb comfort and relaxation and the elegant wooden knuckle armrest offers further support when getting out of the chair. 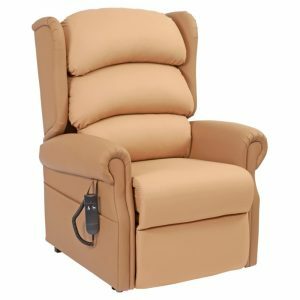 It has a dual motor that allows the back and feet of the chair to be adjusted independently of one another, in two separate motions, allowing the user to choose from a much wider range of positions. 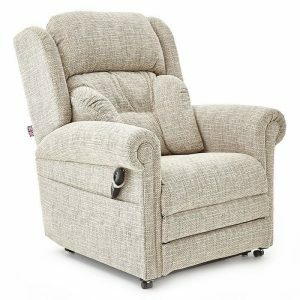 This chair also comes with many added features, extendable footrest, powered lumbar support and the revolutionary industry first powered headrest. 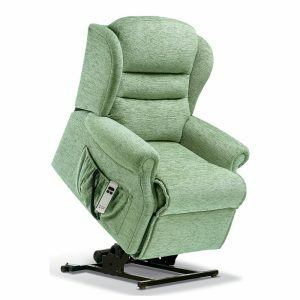 The powered headrest gently positions and adjusts to a number of different positions with ease, reducing neck and shoulder strain. The Pride Hereford comes with a lateral back. 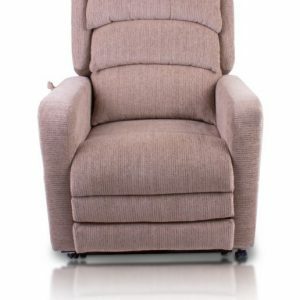 It has been designed to offer support for those that struggle with their core strength and helps keep a central sitting positionand stop leaning to one side.